Grew up… in Newark with his mother, where the two have been living paycheck to paycheck ever since Daniel’s father died. Living… in Reseda, California. Daniel just moved here after his mother accepted a new job. While it’s great that his Mom finally has a more steady income, Daniel isn’t necessary thrilled about the move. Profession… high school student. Daniel has had trouble making friends in Newark. Before his first day of school in California, he gets beat up on the beach by dirt-bike riding Johnny Lawrence and his cronies. They continue to bully him as school starts. Daniel is easily provoked and willing to fight, but he is hopelessly outnumbered. Interests… playing sports, especially soccer and karate. Relationship Status… interested in Ali. Daniel is developing a bond with Ali Mills, Johnny Lawrence’s ex-girlfriend. Ali has it all: a cheerleader, she lives in the wealthy town of Encino and her family belongs to the Encino Oaks Country Club. They are social strata apart by standards of both society and high school. Daniel thinks Ali is “beyond cute,” and Ali likes Daniel because he’s different. Seeing Ali is the only aspect of school Daniel enjoys. Challenge… protecting himself from Johnny Lawrence’s wrath. Daniel took karate classes for a few months at the Newark YMCA before moving out west and practices karate out of a book in his apartment because he can’t afford classes. 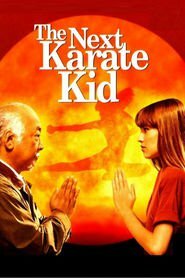 He is impressed when Mr. Miyagi, the maintenance man in his apartment complex, uses karate to dispatch Johnny Lawrence’s entire crew with ease. He asks Mr. Miyagi for lessons. Daniel is slated to face off against Johnny Lawrence and the Cobra Kai dojo (motto: “Strike first. Strike hard. No Mercy.”) in the upcoming all-Valley U-18 Karate Championship. 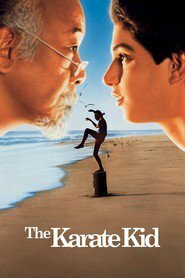 If he wants to stand a chance, he must adopt Mr. Miyagi’s philosophy that karate is more than just fighting. Personality… down-to-earth, hardworking, and funny. Daniel is a sweet-hearted kid who really just wants to do right by the people around him. His fatal flaw is his fiery temper, although hopefully his martial arts training will teach him something about self-control. 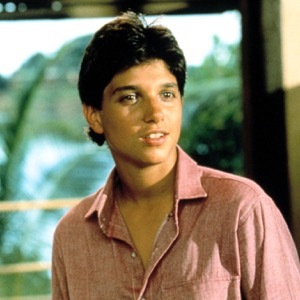 Daniel LaRusso's popularity ranking on CharacTour is #1942 out of 5,000+ characters. See our top-ranked characters and read their profiles.